Posted 5:10 pm by Kirti & filed under AdWords Experiments, AdWords Tips. Posted 6:15 pm by Kirti & filed under AdWords Experiments, AdWords Tips. Posted 11:00 pm by Kirti & filed under AdWords Experiments. AdWords A/B testing or split testing helps test and evaluate your campaign with an alternate set of settings. 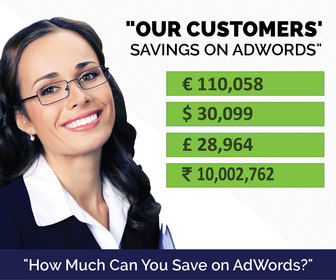 This is possible with AdWords Experiments that lets advertisers make changes without altering the existing campaign. Posted 5:18 pm by Kirti & filed under AdWords Experiments. AdWords Experiments helps advertisers do Campaign A/B testing without making changes to the original campaign. If you have tried it out, then you know the perks of it. But there are a couple of aspects unknown yet important to know, for successful execution. Posted 12:41 pm by Kirti & filed under AdWords Experiments, AdWords Tips.